"What we are seeing every day is completely unacceptable. There seems to be a policy of 'Let them suffer - if they don’t suffer, more will keep on coming.'" 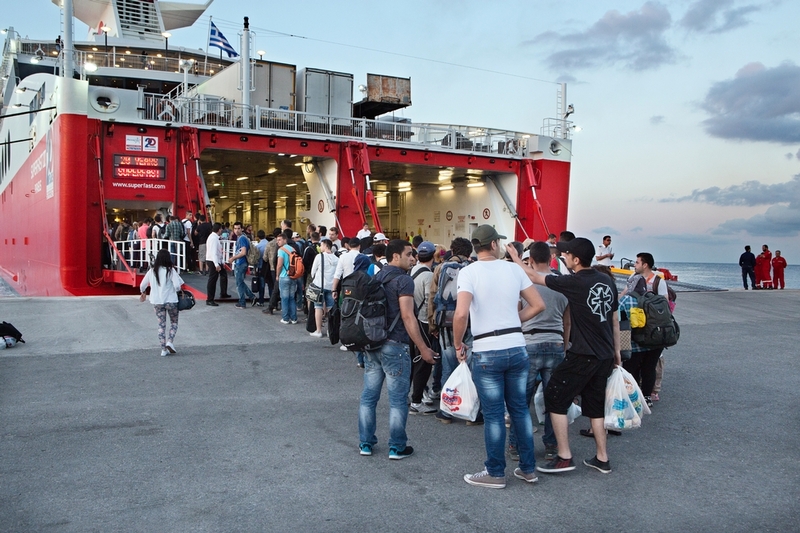 Stathis Kyroussis, MSF's head of mission, on the migrant situation on the Dodecanese islands. Since March 2015 more than 14,000 refugees have arrived in the Dodecanese islands. 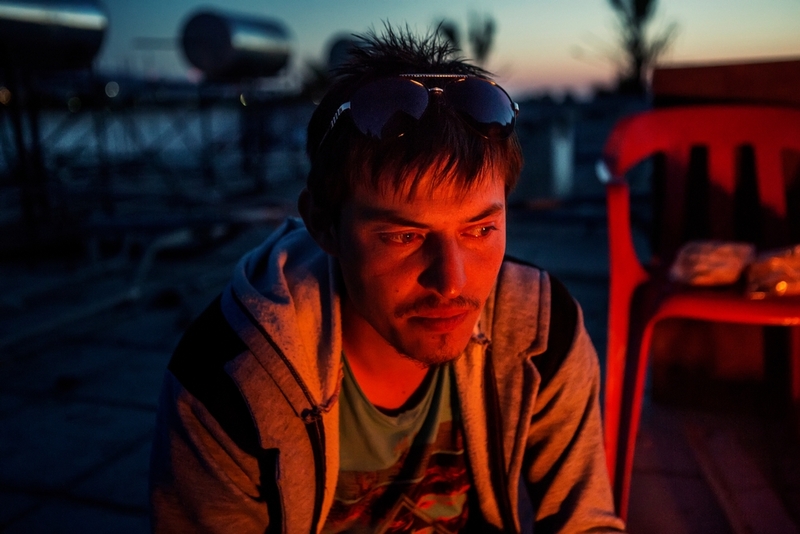 Médecins Sans Frontières/Doctors Without Borders (MSF) has been working on the island of Kos to provide care to newly arrived migrants and refugees. "I have worked in many refugee camps before, in Yemen, Malawi, and Angola. But here on the island of Kos, this is the first time in my life that I have seen people so totally abandoned. The authorities identified the disused Captain Elias hotel as it was some distance from the town centre - and just threw them in there with no information, no help, no provisions, nothing. 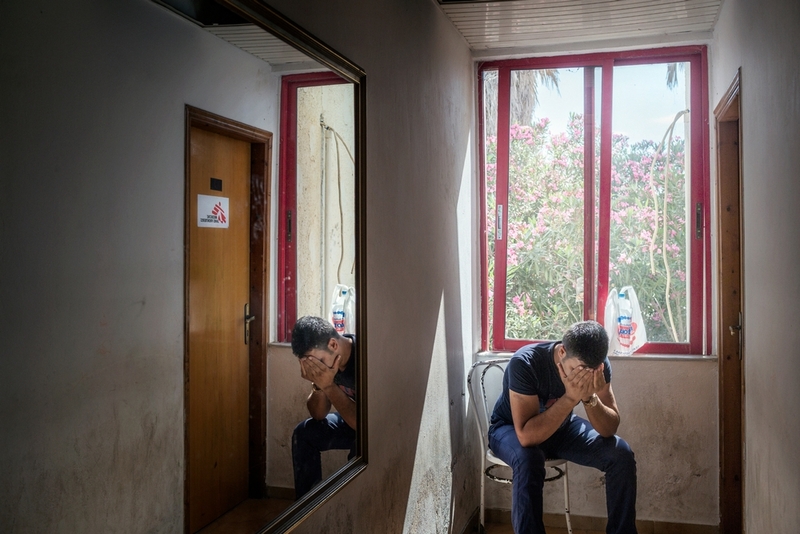 "MSF decided we had to do something for the health and basic dignity of these people." 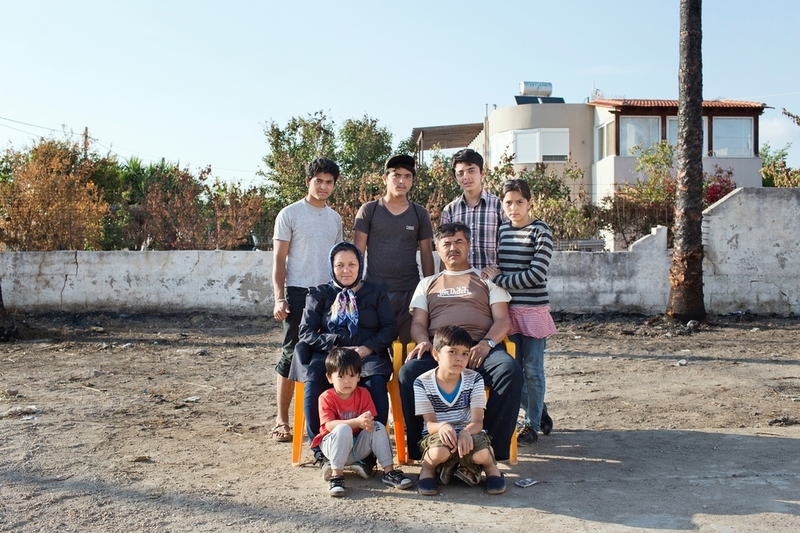 Here's the story of those arriving in Kos. 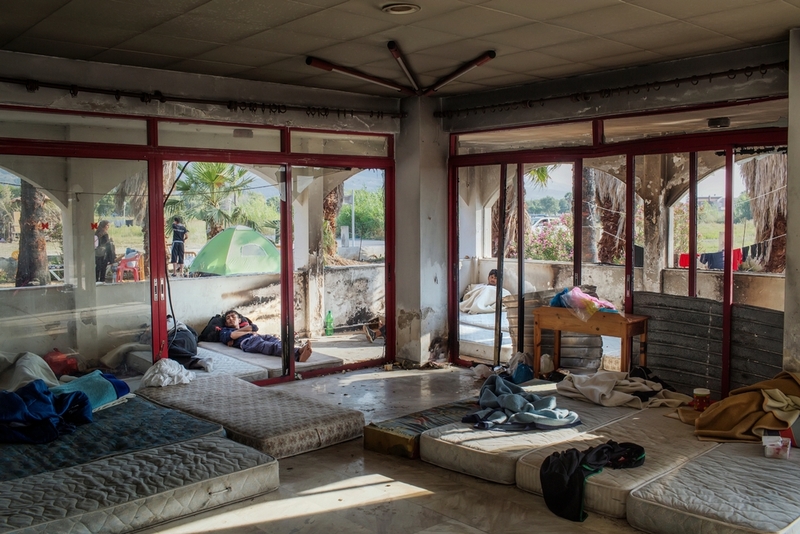 The majority of newly arrived people are sleeping in or around the Hotel Captain Elias – a dilapidated abandoned building on the outskirts of Kos town. 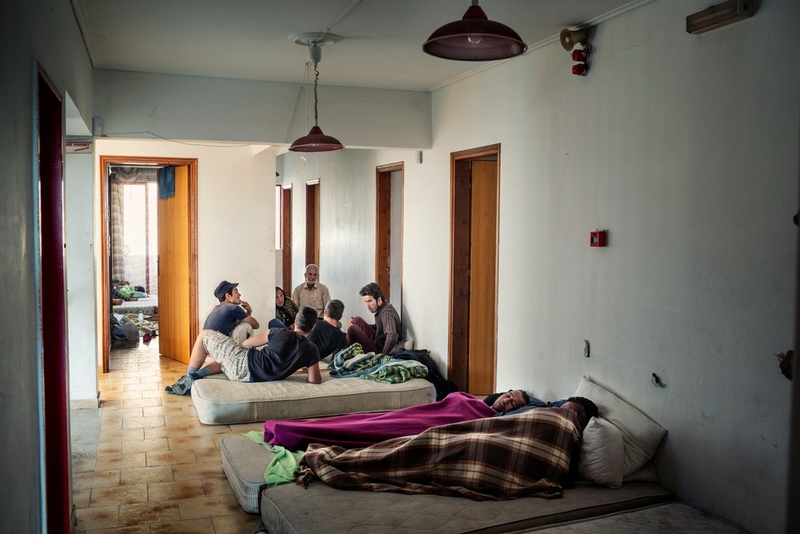 Hundreds of people sleep wherever they can find a space, in hallways, staircases and on the dusty ground floor that used to be the hotel lobby. So far, the MSF team has conducted more than 1,500 medical consultations, treating patients for chronic diseases that need medical follow-up, upper respiratory tract infections, skin infections, muscle pain and gastro-intestinal diseases. Most are from Afghanistan and Syria, but there are also Iraqis, Iranians and Bangladeshis fleeing war, violence and hardship in their home countries. They have travelled to the island of Kos from Turkey in small, overcrowded, rubber dinghies, and have been directed by the Kos authorities to stay in this old building - the only place made available by the authorities for them to stay while awaiting permission from the police to leave the island, which can take several weeks.